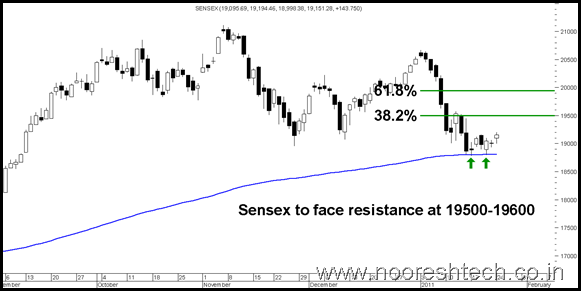 Sensex should face resistance at 19500-19600. Will Real Estate see a Bounce ! The last two bottoms around 18800 shows that market seems to be taking support at the 200 dema. The earlier move below 19000 in short term is a dangerous signal but the last few sessions did not see a follow up selling implies one needs to wait and watch. Short Term Momentum could be seen only on sustaining 19600 where the recent top as well as 38% retracement of last fall. Bank Nifty may find resistance at 11200 which if crossed could see some momentum for 11400-11500 quickly. 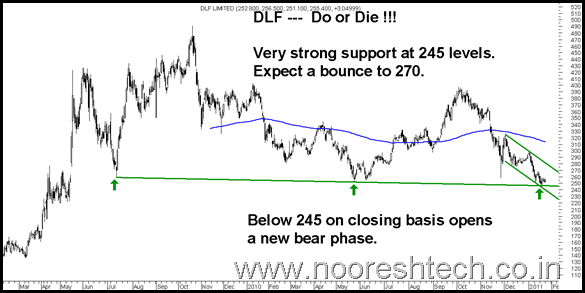 Real Estate Stocks like DLF / HDIL and India Bull Real Estate look highly oversold and as sharp bounce could be expected on back of RBI meet whether its positive or not. 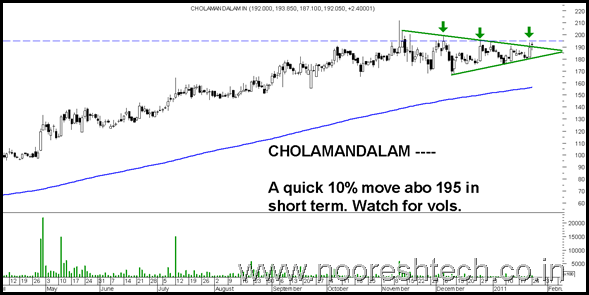 Cholamandalam looks set for a quick move to 210-220 levels in extreme short term .Watch for volumes supported breakout above 195.
what u think about Rolta? As of now lets wait to find the next big sector. But Reliance and Oil and Gas would be one to watch for.